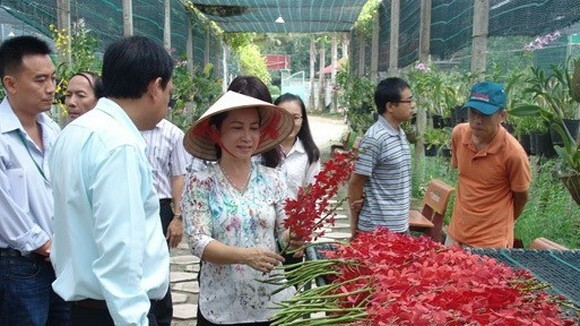 It is impossible that housing crisis to arise in Vietnam, said experts at seminar “ Crisis period and real estate investment” organized by Thanh Nien newspaper on July 18. 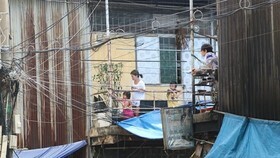 2019 falls in the 10-year crisis cycle including economic crisis generally and real estate particularly; nevertheless, experts said housing crisis is impossible because the supply-demand imbalances in the residential and commercial property segments have increased especially in Ho Chi Minh City where a large middle class emerged. At present, the city population grows by 500,000 people annually while just 10,000 condo apartments are sold yearly meeting 5-10 percent of demand. In addition, the sector still attracts local and international investors. Specifically, just in the first six months of the year, $3.28 billion of foreign direct investment capital (FDI) investment poured into real estate field, a year-on-year increase of 53 percent. 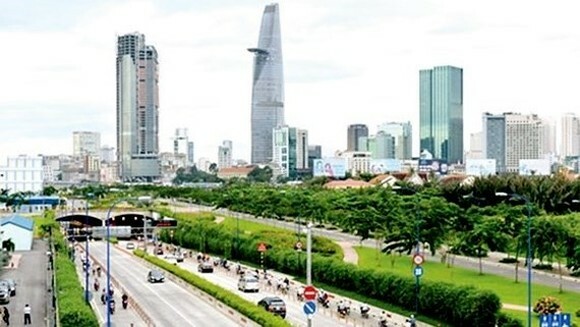 Ho Chi Minh City saw a decline of 60 percent in supply of middle apartment because of shortage of land fund and strict formalities while demand increased drastically in the first six months; therefore experts concluded housing crisis would be impossible to arise in next time. According to the Ministry of Planning and Investment, as of June 20, 2018, registered foreign investment capital totaled $20.33 billion, a year-on-year rise of 5.7 percent. 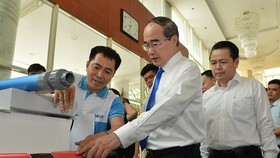 Vietnam's real estate market attracted over $5.5 billion accounting for 27.25 percent. With its developing economic and improved investment policies , Vietnam’s property is leading in the sectors generating good revenue; thus, more foreign capital flows into the sector. For instance, CapitaLand, Keppel Land, Mapletree, Gamuda Land poured more capital into the city's sector. Moreover, in the first six months of the year, mergers-and-acquisitions in HCMC has seen continuously strong momentum, with a number of key transactions in commercial and residential sectors. Noticeably, Tokyo-based real estate firm Nomura has announced a 24 percent acquisition of the Sun Wah Tower on Nguyen Hue Street in Ho Chi Minh City with total area of 20,800 square meters (224 square feet). Nam Long Group, one of the leading housing developers in Vietnam, has announced to cooperate with Japanese Hankyu Hanshin Properties Corp. and Nishi Nippon Railroad in building 8.5 hectare Akari City, its fifth project in Binh Tan district of Ho Chi Minh City. Under an agreement, Nam Long group will have half joint contribution of the total investment of about VND7.676 trillion ($341 million) comprising of 4,600 apartments. 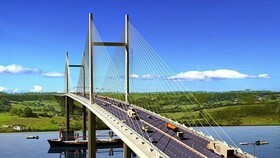 This will be one of Nam Long’s key projects in the next 3-5 years. While in Hanoi, CapitaLand bought 0.9 hectare project in Tay Ho District including a 380-apartment residential quarters with 21,400 meter square for office and over 19,300 square meter for retail shops. These above-mentioned merges and acquisitions showed that FDI capital poured into high-end segment or resorts which generate most enormous profit. Whereas foreign investors have paid no attention to buildings for low-income people, social housing apartments though the municipal People’s Committee called for investment in urban renewal areas, old condominiums. A representative from Savills Vietnam said foreign investors though carefully before pouring money into realty estate sector, they take no heed to social housing segment or building condominium for low-incomers because modest profit and complex formalities. The Ho Chi Minh City Real Estate Association (HoREA) said thanks to improved investment policies which allowed foreign investors to buy and sell houses like local peers, the outward flow of investment has increased. Alongside with this, economic growth and more middle- class people are factors to attract investors abroad. According to a representative of a foreign fund specializing in property projects in Vietnam, transparency is a pivotal factor to attract investment in the sector when foreign investors are looking for new developing market like Vietnam. 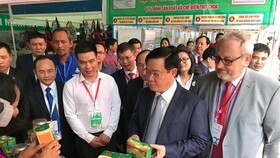 He added that improved management mechanism and policies in Vietnam’s realty estate sector lately and transparency in zoning information, investment procedures and project information to protect customers’ right are plus points in attracting FDI capital. Experts in this sector said FDI capital will continue to be one of important sources of the sector in the future especially when commercial banks tighten control over property loans, forcing investors to find out new capital sources including M&A. While foreign investors see potential in growth in Vietnam’s real estate generating enormous profit compared to other nations in the Asia. Subsequently, experts predicted 2018 will be the year for many M&A transactions in the sector. 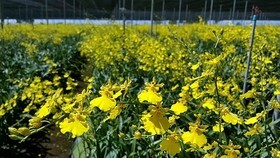 The World Bank also said that there have been improvements in land transparency in Vietnam at all levels. 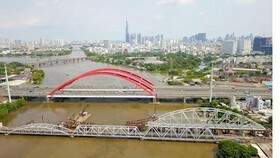 Within two recent years, Vietnam has publicized list of projects in Hanoi and Ho Chi Minh City as per the decree 76/2015. 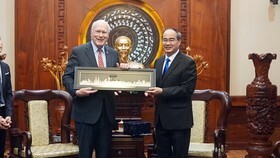 This showed foreign investors’ trust to property market in Vietnam.